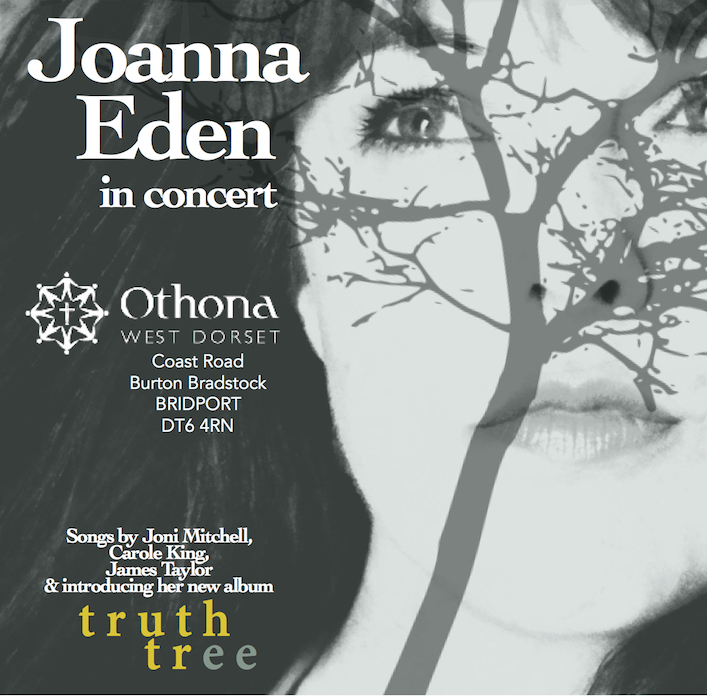 Joanna’s previous albums have been played on BBC Radio 2 and received rave reviews in publications like Mojo, so she has high hopes for her new album ‘Truth Tree’. “I’m so excited to be touring this album to beautiful churches, chapels and cathedrals all over the country!" Joanna will also be at Combeinteignhead 17th August, Exeter Cathedral 18th August, St Lawrence Chapel in Ashburton 19th August, before heading back for the London launch at Stoke Newington’s beautiful Old Church on 19th October, singing songs from 'Truth Tree' and her favourite artists. Joanna has led wonderful, creative, inspiring family events here at Othona West Dorset. Click to see photos from her event, 'Let's make a Musical', in 2015. The concert is at 7.30 on Thursday 16th August. Tickets are £10. You can book online via joannaeden.net/tickets or by phoning Othona on 01308 897 130. Visit Joanna Eden in Concert 'read more' page for videos and to learn more about Joanna and her music.